Da Nang Cathedral is the cathedral of Danang Diocese in central Vietnam. 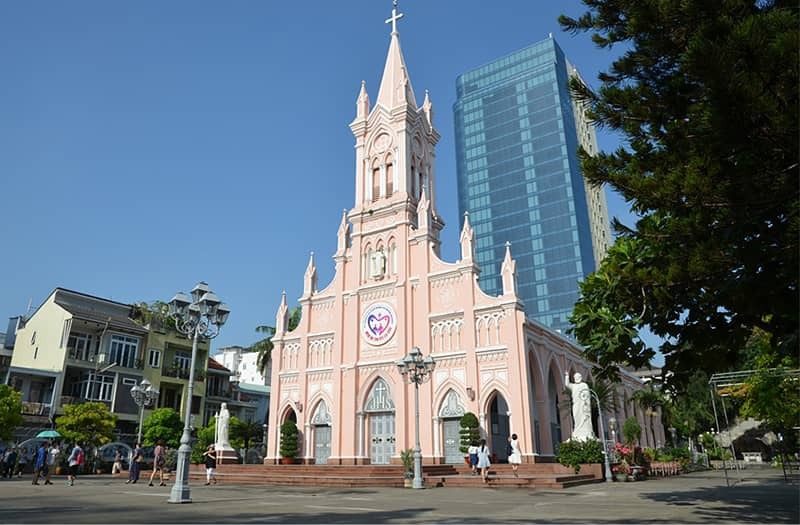 This is also known as the Pink church Da Nang, the only church built in Danang city in the French colonial period, in 1923 by the priest Louis Vallet for Danang’s French colonial population. 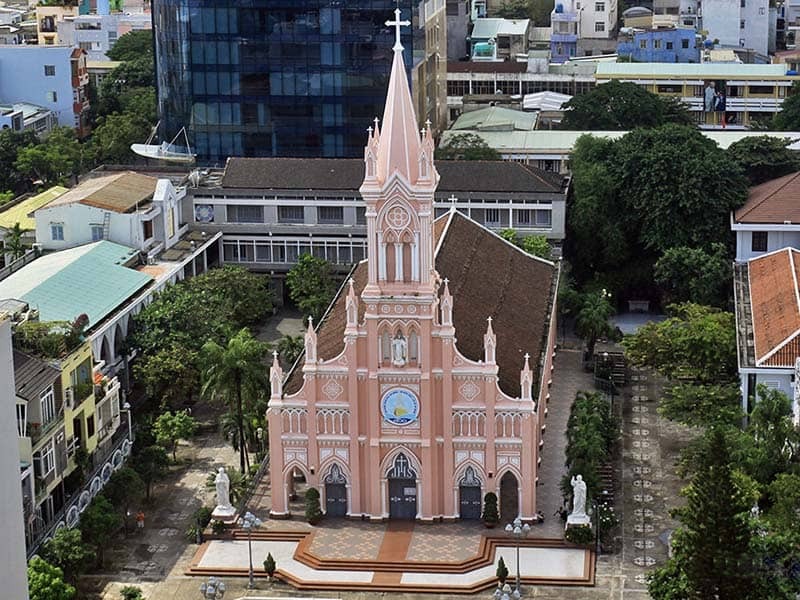 The church officially opened its doors on 10 March 1924 with the purpose of serving the French Catholics who lived in Da Nang at that time. Now, Da Nang cathedral still functions as a lively place of worship for the catholic locals in Da Nang. Da Nang cathedral measures about 70 meters in height, and it’s Gothic-style design is an amazing and marvelous architectural structure incorporating several medieval stained glass windows of various saints. 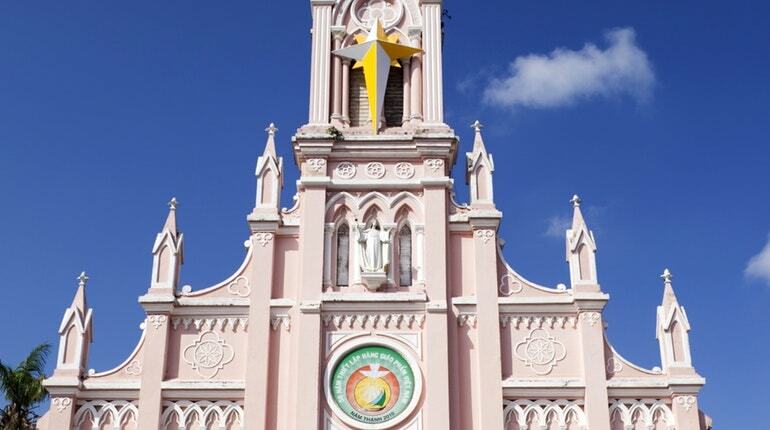 Da Nang Cathedral has been awarded a medal by the Vatican Holy See.